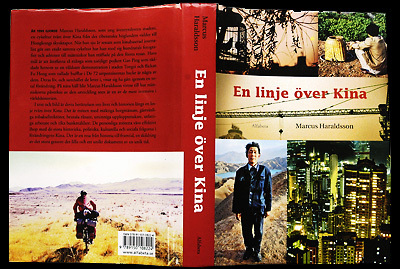 "En linje över Kina" was the result of a nine year long journalistic and photographic project where I tried to describe China’s extremely rapid development. The project was based on two bicycle trips along the same route across China from Tibet to Hong Kong with seven years between them. On the second trip, in 2006, I revisited the same people, villages and cities as in 1999. By revisiting my friends and contacts I understood that China, in these few years, had developed into a completely different place. In many places it had gone from the Middle Ages to the future.